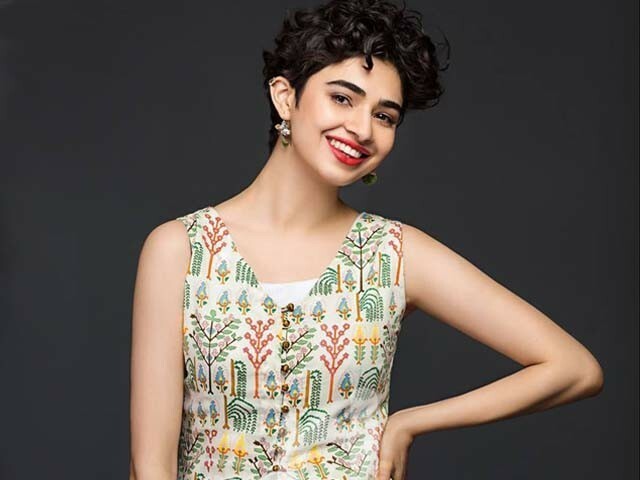 What if I told you that an educated Pakistani model, Saheefa Jabbar Khattak, was denied entrance into a women’s washroom because of her pixie haircut? Yes, not only were her basic human rights denied, she was also shamed on social media for ‘sacrificing’ her hair length for a photoshoot. To put an end to all the derogatory comments on her photos, Khattak recorded a live video and addressed all the haters directly. She spoke about the double standards of people, and how they pretend to empower women on one hand and bring them down the next chance they get. She further spoke about the need to educate people in our society and teach them not to constantly comment over someone’s appearance. The question arises, why does the removal of a few inches of hair become a sacrifice? In society’s eyes, she apparently sacrificed her ‘femininity’ to transform herself into a macho woman, only to be labelled a lesbian or a transvestite. Physically, the long curly locks would weigh her down during the humid Pakistani summer. But in a society like ours, the locks ‘veiled’ her from these harsh and unsolicited judgements. To unravel the importance of length, we must explore its roots. Throughout history, long hair has been an everlasting symbol of femininity. If we revert back to the evolutionary basics, it is viewed as a sign of fertility, for to have long hair the woman must be healthy and thus fit to bear a child. However, these references date back to a few centuries ago. Social and cultural norms continuously evolve as society progresses but since hair holds such an importance in our society, it reflects how socially undeveloped we are. This stems back to the fact that the majority of women in our society are married off by the tender age of 18, withholding them from opportunities to be self-sufficient. These luscious locks come with a price and require high maintenance, so you’ve got to be prepared. From blow dries, hair colouring to styling tools, women pour money into perfecting another aspect of their looks because of the importance ascribed to them. Clearly, the men hold the scissors in this relationship. A woman’s attractiveness is measured in relation to how desirable a man would find her. In contrast, the length of a man’s hair proves no hindrance to his masculinity. Evidently, short hair is the assumed norm for most men but fictional male characters with long hair embody a courageous and almost superhuman role. A defining characteristic for Thor from Norse mythology, also known as ‘the protector of mankind’, is his long blonde hair. Similarly, the famous animated Disney film Tarzan revolves around a feral child raised to fulfil the role of ‘the king of the jungle’ who has long black hair. Neither of these characters are demeaned for being ‘feminine’. In fact, they are awed for being extra-masculine. In relation to modern society, a new trend for most males is to grow out their hair and rock the ‘man bun’ and everyone seems to be okay with that too. Thus, why is there a continuous commentary on peoples’ personal choices that harm no one? Why is there this unhealthy fixation on looks which can lead to worse health problems? Where do our society’s priorities lie, in belittling our women to focus on their exterior, or in empowering them to embrace their beauty in any way they desire? We’re told to never judge a book by its cover, so why judge a person for their choices? The writer is studying psychology at McGill University. I am lost. What exactly is the point to this blog? Oh and btw..men get judged in our society ALL the time. For the jobs we hold, the money we make and the vehicle we drive (if any). The amount of money a man makes directly affects how desirable he is for women and his ability to attract a spouse. On the other hand beauty and looks affect a woman’s ability to attract a spouse. This is why looks are considered more important for women than men. This type of behavior stems from male insecurity. In the video the girl could have been better prepared to make her case and if she had moderated her language it would have helped. To me this looks like a case of intolerance that stems from a sense of insecurity felt by men, especially when they see women doing well and becoming economically independent…..this apparently is a by product of religious intolerance. The video disappointed me, I felt little thought was put into its preparation and she could have been more circumspect with her language. Being from the same Pakistani society,I got a pixie cut and i was questioned about me being what aunties say “Too modern to accept” even said I now belong to LGBT community.